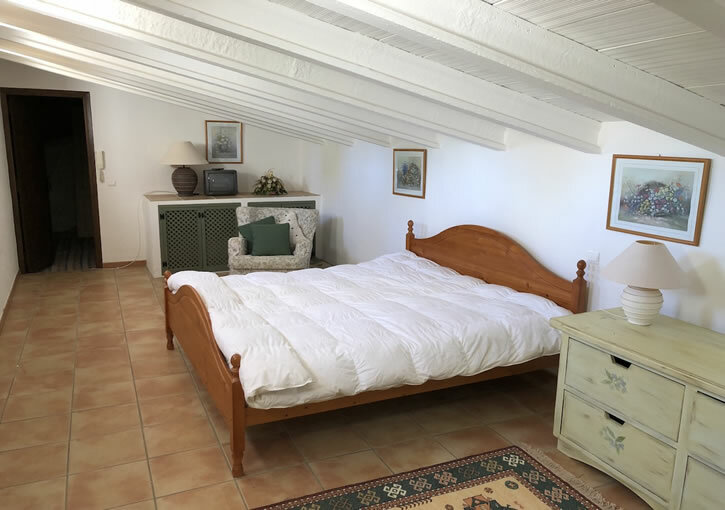 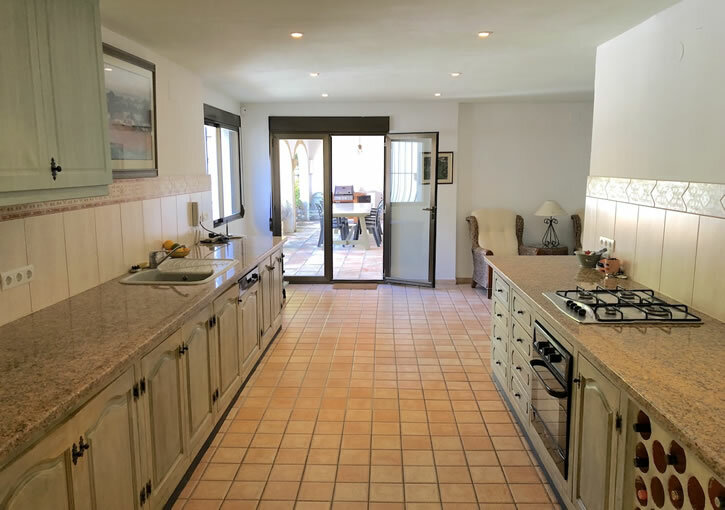 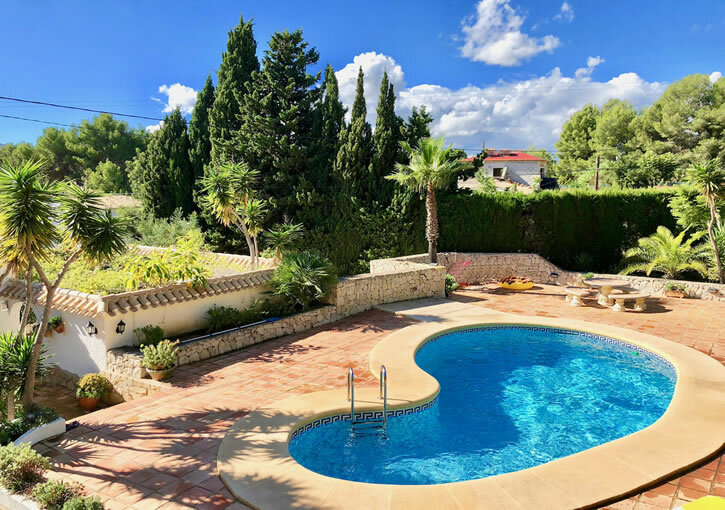 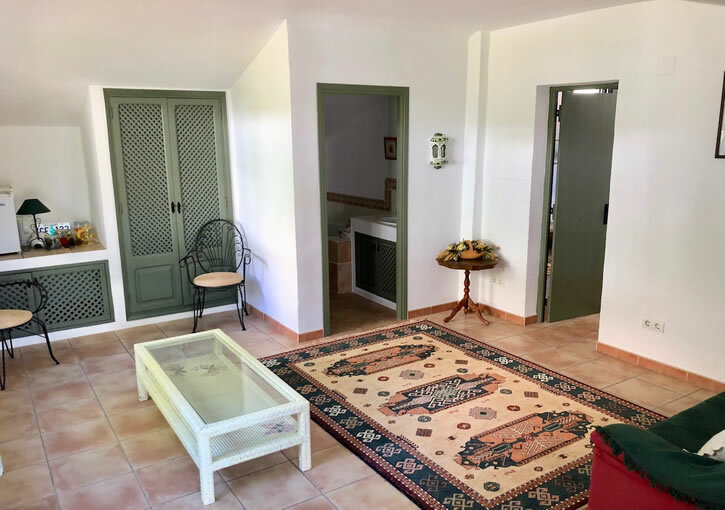 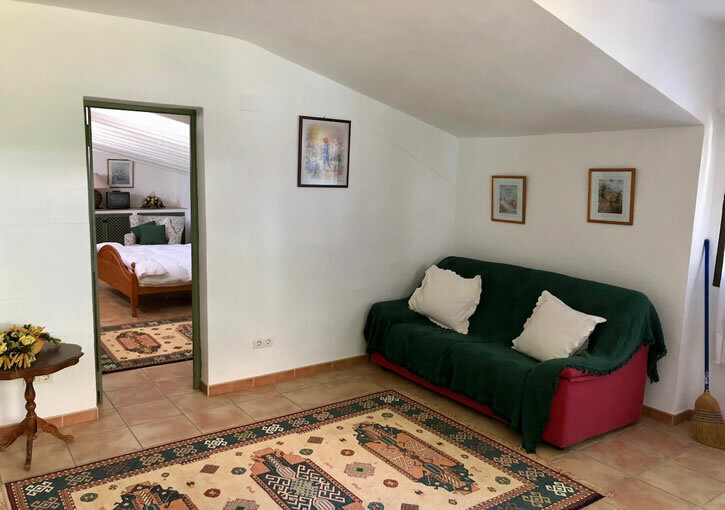 A very charming and private finca style property in a quiet and lovely location on the lower slopes of the Montgo with large rooms, 6 bedrooms, a totally private pool and a guest apartment. 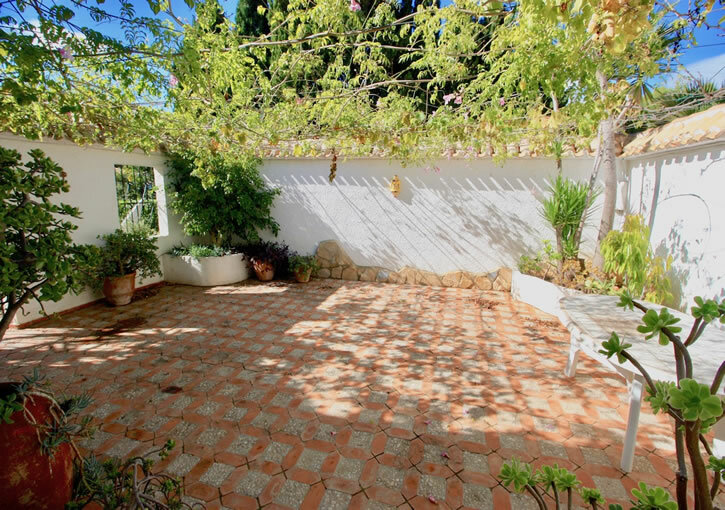 Approached via electric gates to a large sweeping gravel driveway with front gardens of fig/lemon/orange trees. 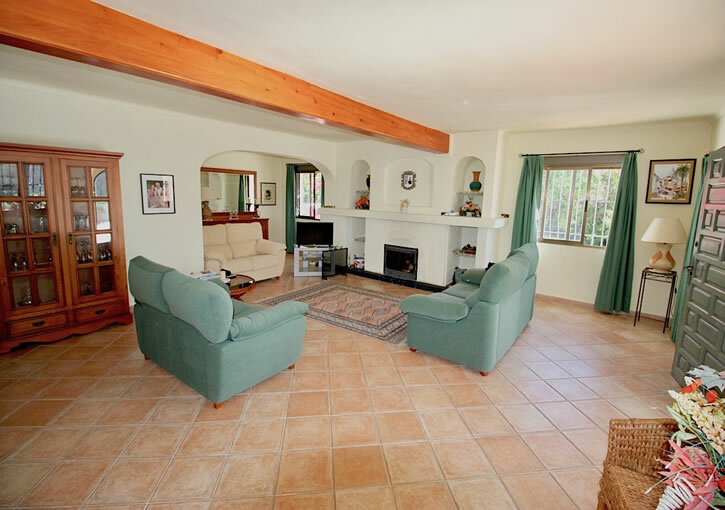 There is lots of space for parking and a one car garage with storage room. 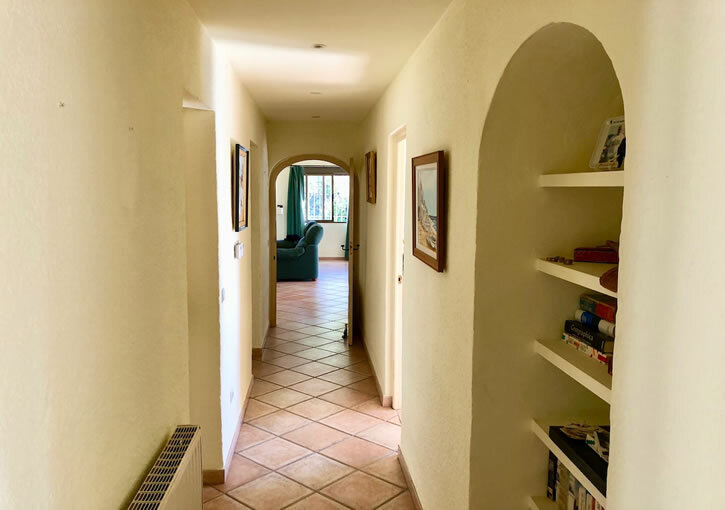 Main entrance to this substantial villa to hallway leading to a large L -Shaped family kitchen with breakfast dining with wood burner for those winter evenings. 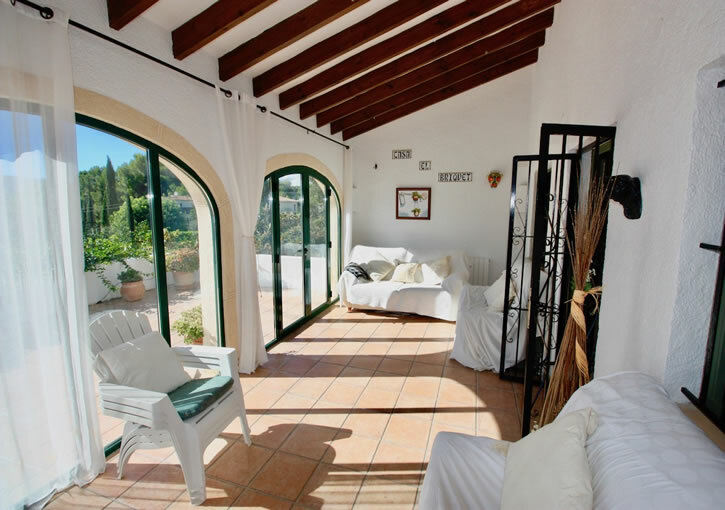 Double doors lead out onto a beautiful arched naya with views to the pool and terrace. 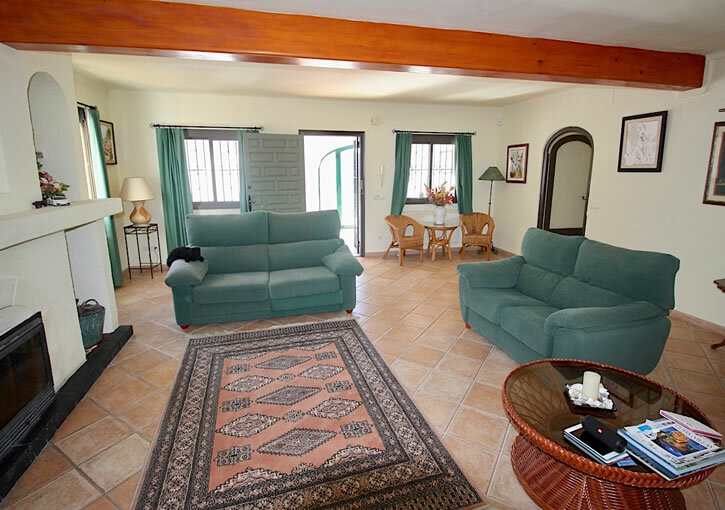 To the front of the villa is the very large family lounge with fireplace and a South facing glazed naya overlooking the fruit gardens. 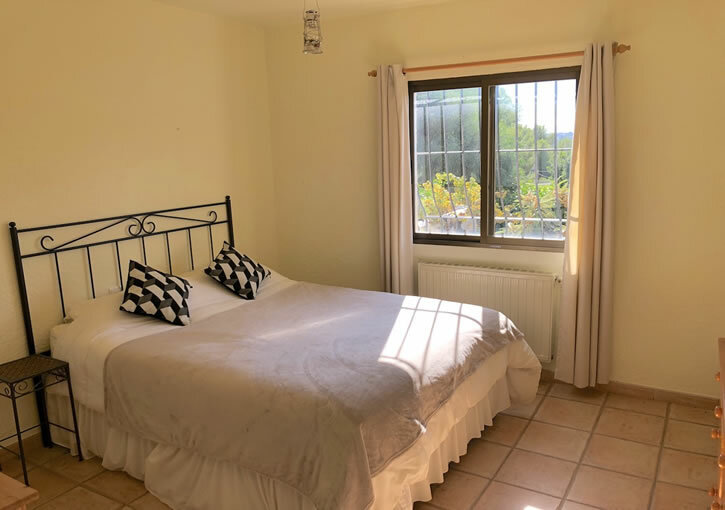 There are five bedrooms all with fitted wardrobes and three with access to the pool side naya, including the spacious master bedroom with en-suite. 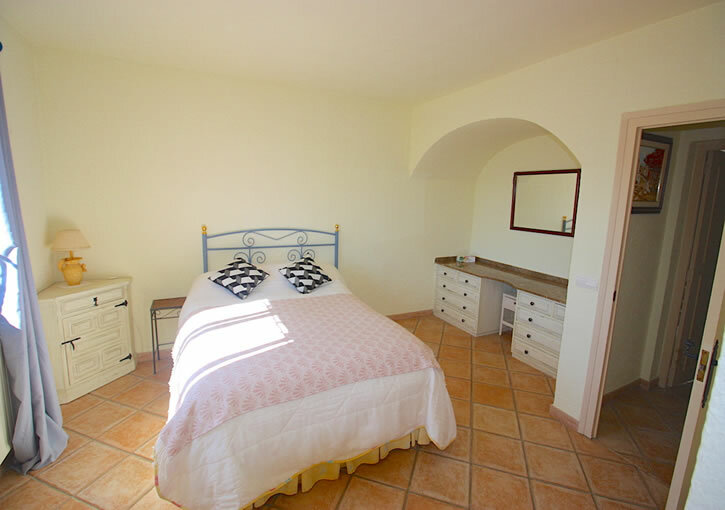 One other bedroom with en-suite bathroom and an additional family bathroom. 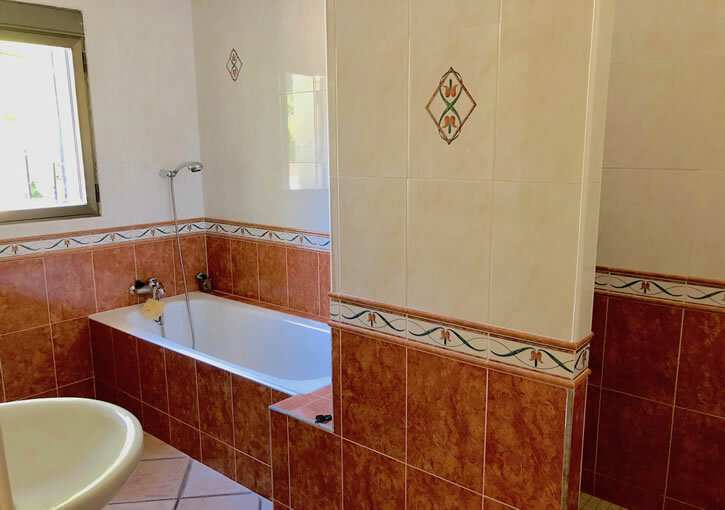 A spiral staircase to the rear of the property at pool side is the pretty guest apartment comprising of a living area, a bathroom and spacious bedroom. 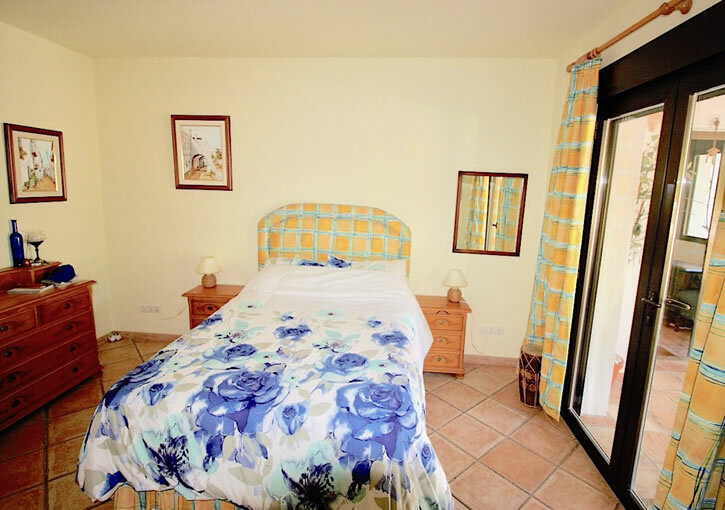 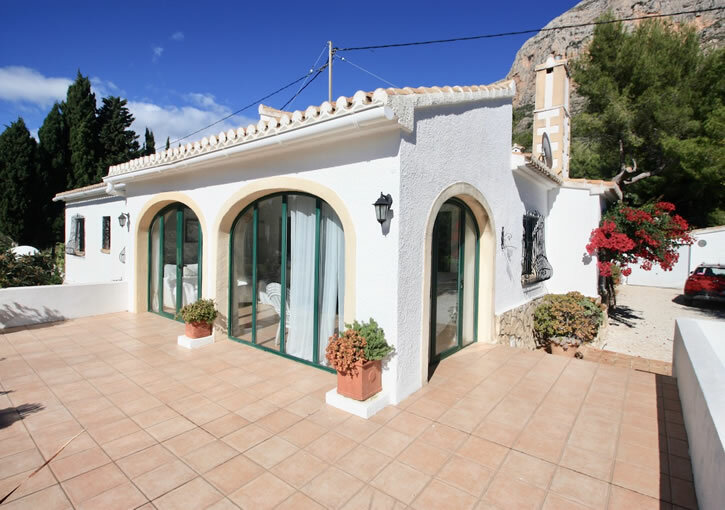 The villa is in good condition throughout and very well maintained by the current owners. 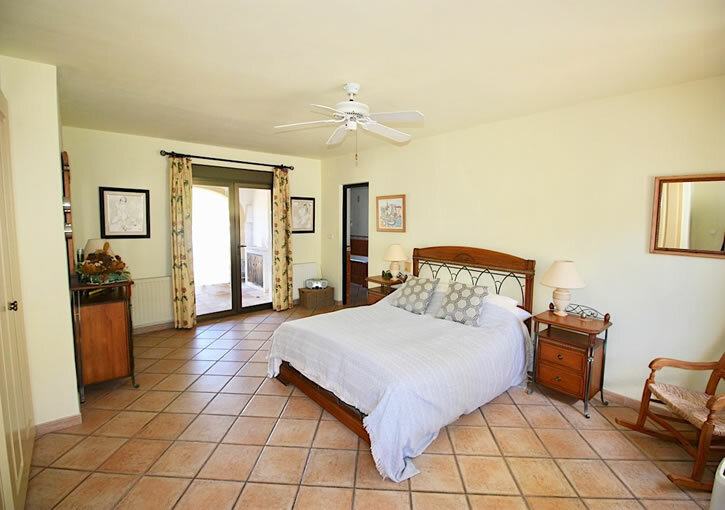 Gas centrally heated via radiators and a wood burner in the kitchen and can be sold fully furnished. 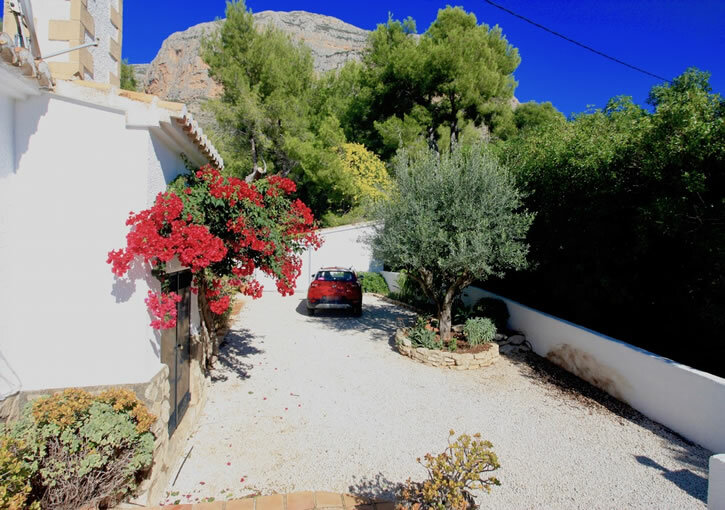 To the outside, the plot is flat and very private with the Montgo mountain as a fabulous backdrop and South facing views to the front. 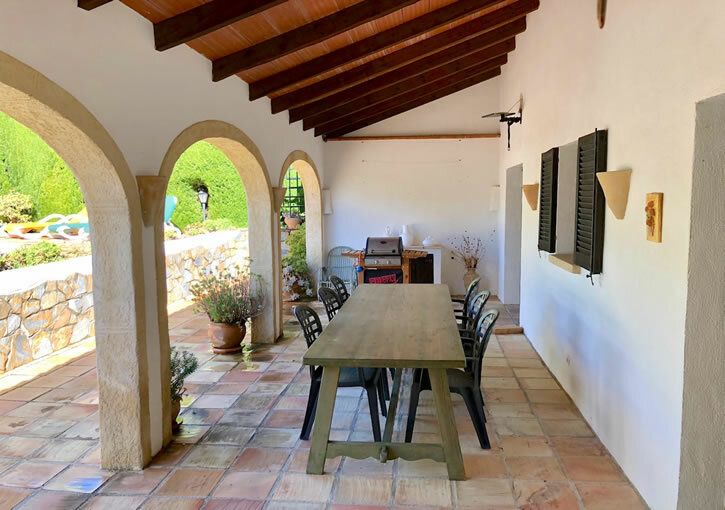 A quaint courtyard for summer dining under the grape vines and also the large arched naya leading from the kitchen for entertaining and BBQ’s. 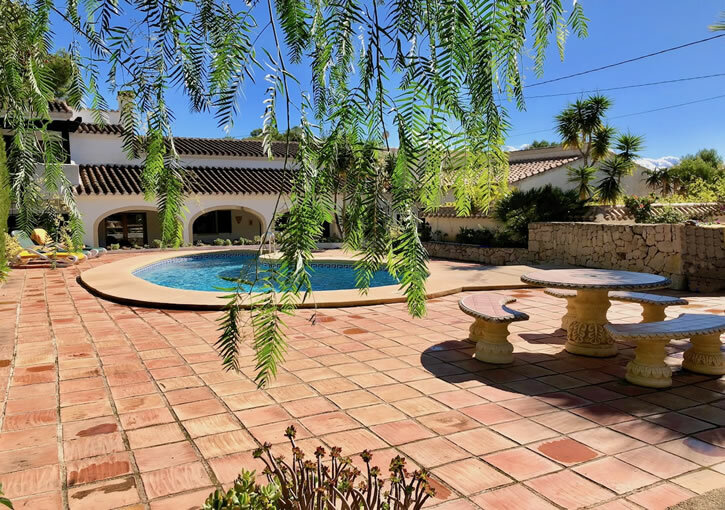 Free form swimming pool with surrounding terraces. 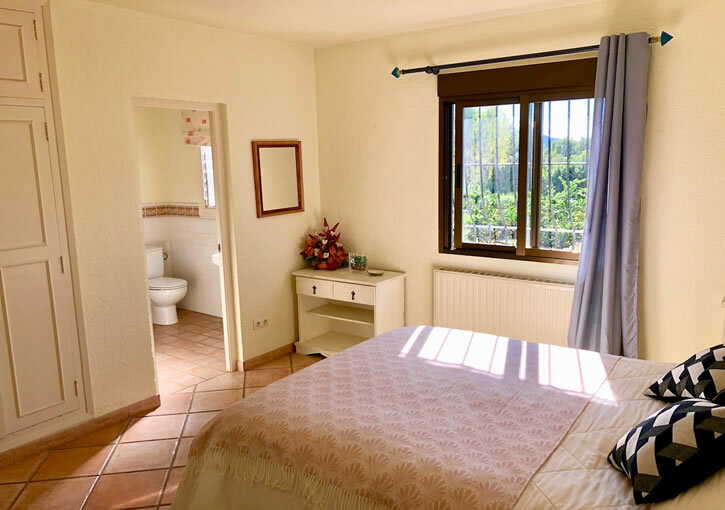 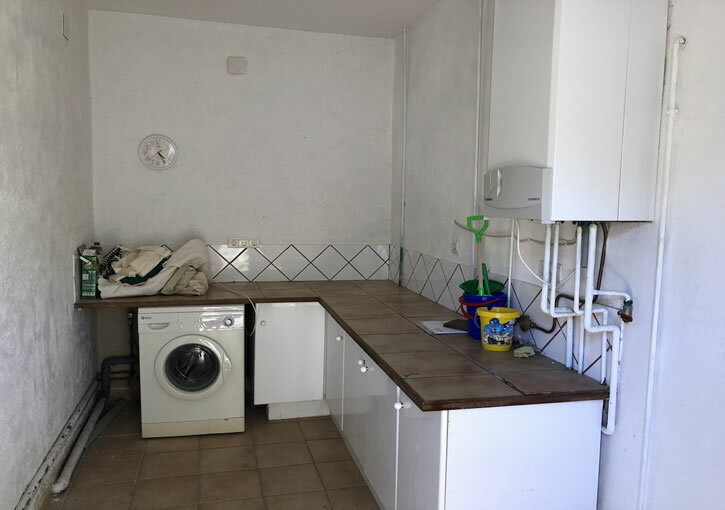 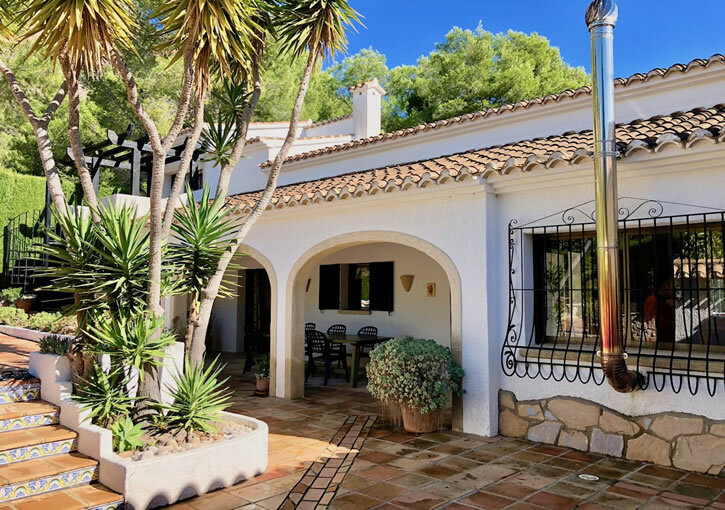 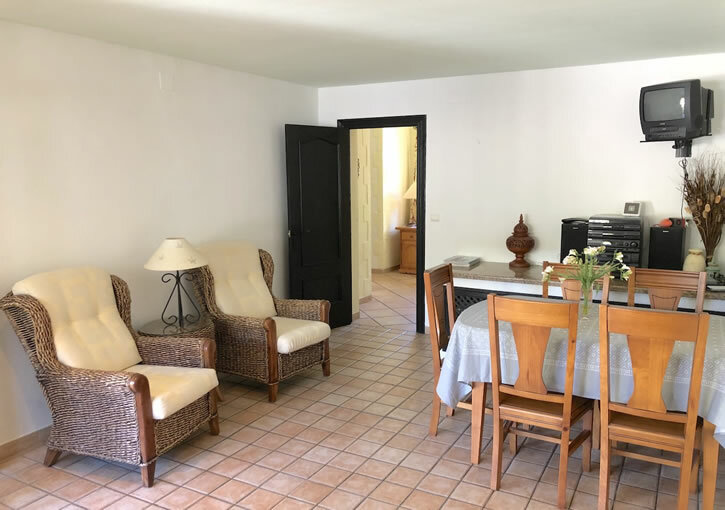 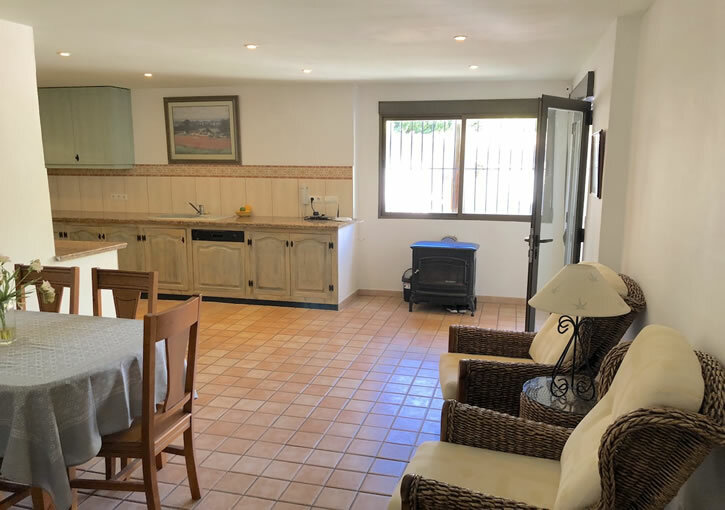 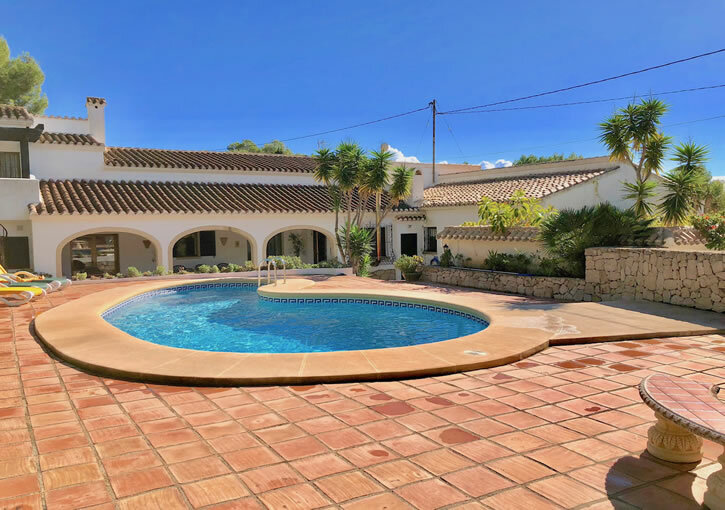 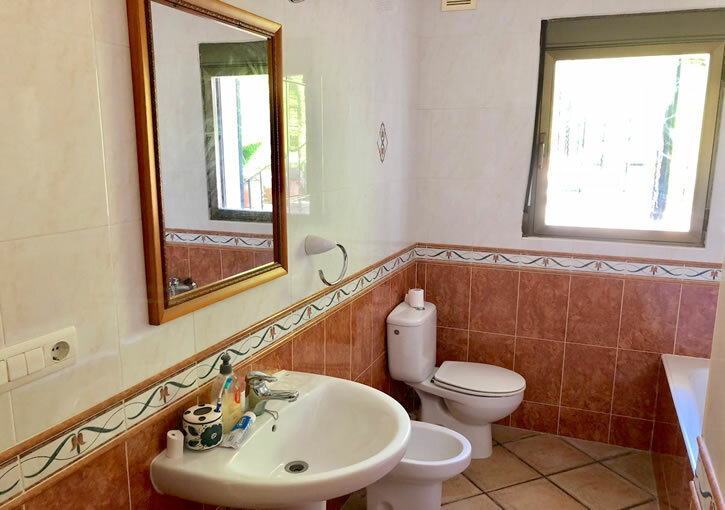 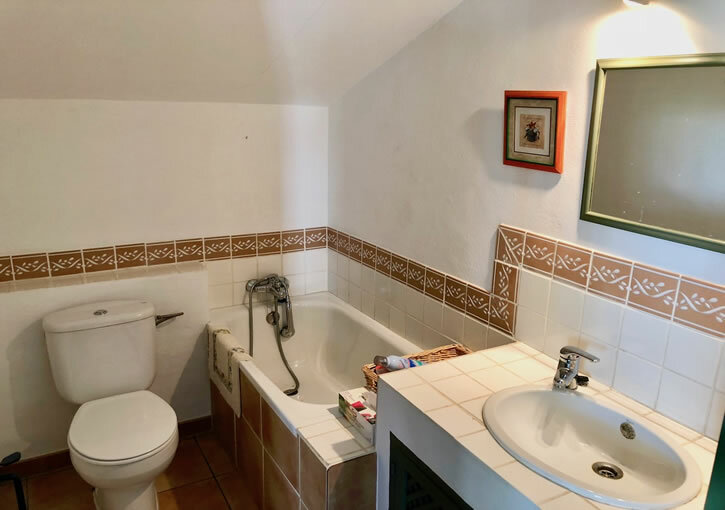 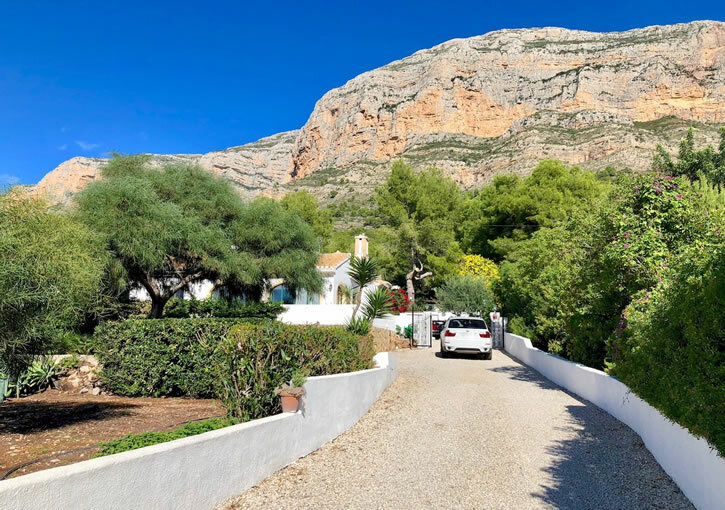 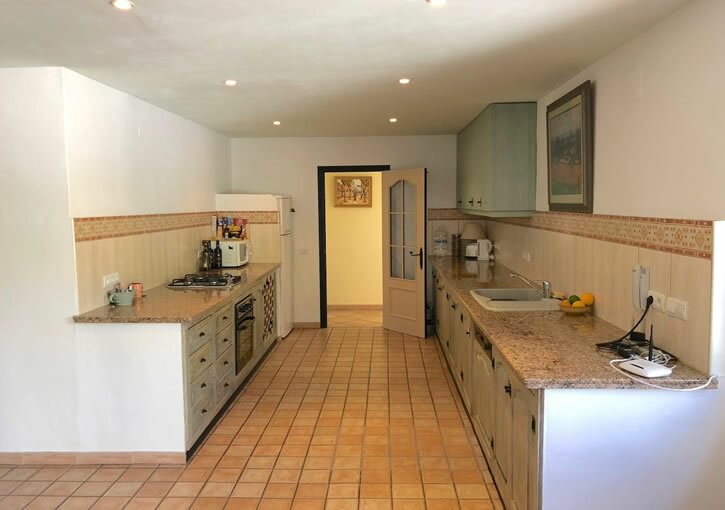 To summarise, this is a substantial detached property on the Montgo with charming features throughout – An ideal family home or maybe business investment for B & B.